We know that life sometimes hands you unexpected plumbing repairs and these repair issues can bring proper home functioning to a halt. Or maybe your looking to remodel your bathroom? Need to make updates to your bathroom so that its more accommodating to your needs? As a service to you, we offer two different financing options. 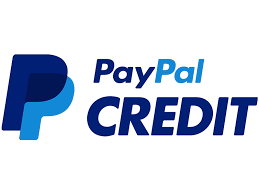 PayPal credit is perfect for the unexpected repair or the small remodel. From a drain cleaning to new fixtures this is the perfect option. Use the button below to apply now! Just create a PayPal account and follow the simple directions for an easy solution. Financing through Lightstream is our other option that is suited for larger remodels and repairs. Its perfect for septic system repairs or a main sewer line replacement. Maybe life changes require a more accessible bathroom? Or even a modern update to your bathroom. Use the button below to apply now!